I use rock and jazz and blues rhythms because I love that music. 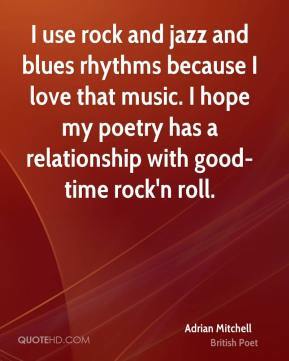 I hope my poetry has a relationship with good-time rock'n roll. I use the language I use to my friends. 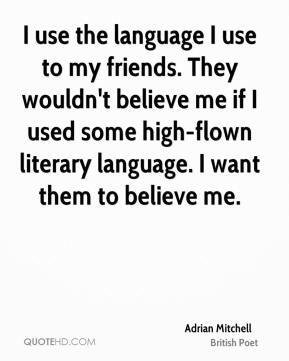 They wouldn't believe me if I used some high-flown literary language. I want them to believe me. 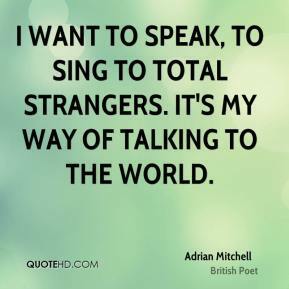 I want to speak, to sing to total strangers. 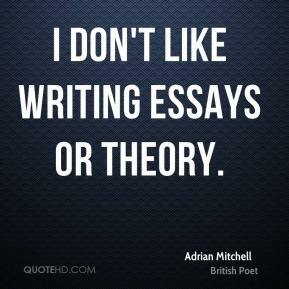 It's my way of talking to the world. 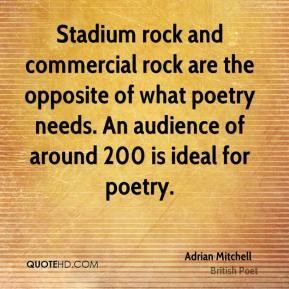 Stadium rock and commercial rock are the opposite of what poetry needs. 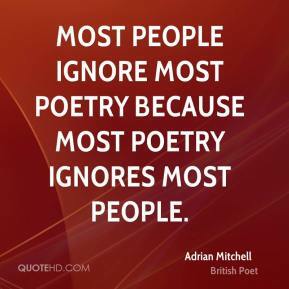 An audience of around 200 is ideal for poetry. 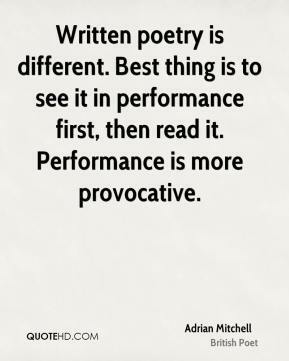 There have always been poets who performed. Blake sang his Songs of Innocence and Experience to parties of friends.